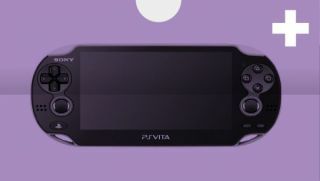 Following on from the PSP, which aimed to be a PS2 in your pocket, came the PS Vita. The little console that could. It could almost run PS3 quality games, and it also evolved into a console that was well known for doing things a bit differently. Although it does have games like Uncharted, it is better for the weird, wonderful, beautiful and downright fascinating games. Hundreds of unusual indie games, remakes of classics, and lush role-playing games and visual novels have kept Vita owners devoted to their machines long after industry pundits declared it dead. No matter what kind of player you are, there's something for you amongst the best PS Vita games ever made. Killzone: Mercenary has never been the pinnacle of shooter series, but this exclusive PS Vita sequel is easily the best portable FPS ever made. Mercenary makes the most of its handheld unit, sporting jaw-dropping visuals, expansive gameplay, and a multiplayer that gives Xbox 360 and PS3 titles a run for their money. As gun-for-hire Aaron Danner, you'll face the full brunt of the Helghast-Vektan war in set pieces that rival sci-fi Hollywood blockbusters. With ample weapons at your disposal, and all manner of enemies eager to gun you down, Killzone: Mercenary is an intense and polished game that shows the PS Vita's true mettle. Don't Starve might be an honest title (no really, try not to starve), but nothing can truly prepare you for the perpetual stress of attempting to survive in a world that desperately wants you permadead. A handy stomach meter needs kept full to avoid hallucinations and madness but that’s only one of a stack of risks you have to contend with on the randomly generated biomes of complete death. Murderous spiders, penguins and even furious trees await your innocent survivalist. Just like in Game of Thrones, winter is coming so even if your summer day is going ok and you’ve managed to build a proper fire that isn’t a nightmare to keep lit every night, misery is just around the corner. Yet despite the constant stress, there’s something beautiful about this nightmare and a genuine sense of achievement as the days count up and you're still wandering around without too many hallucinations. Plus, if it’s all too much, you can always turn off winter. It’s no accident that Mojang’s world builder has sold more than 100 million copies across PC, consoles and mobile. Minecraft is a game of literally endless possibilities. Want to build yourself a farm, raise chickens, and have a simple life? You do that. Maybe don’t mine at night. But want to go on vast adventures and quest to slay an enormous dragon? That’s fine too. Or maybe you just want to hang out with friends and build yourself your own world to live in that looks like Hogwarts or Middle Earth. There’s nothing like landing in a new biome in creative mode of Minecraft and being overwhelmed by the possibilities ahead. As Vita experiences go, the blocky wonder makes for a perfect handheld adventure. Relax in creative mode or get stressed in survival as you hurry to build your first shelter to protect against creepers. Maybe make sure you’re near a charger though. Like a good book, season one of Telltale Games' The Walking Dead adventure game is a tale that's hard to put down. It's exciting. It's gut-wrenching. It forces you to make some of the toughest decisions you'll ever make in gaming, and it leaves you questioning those choices long after the fifth and final chapter fades to the back. The Walking Dead: Season One is interactive storytelling at its best, and its swift-yet-measured pace feels at home on the PS Vita. Lee and Clementine's odyssey is designed to be played multiple times over so that you can make different decisions, save different allies, or toss new friends to the horde. This is still the main draw in this version, however there's something extra special about how Telltale's cel-shaded comic book style looks on the Vita's screen, and how it feels tapping away your moral dilemmas through optional touch-screen controls. Even those who have played the original version will find something alluring about this PS Vita adaptation. Lumines has seen several iterations in the years since its PSP original, almost to the point of fatigue-yet the charm of its core mechanics always shines through. With Lumines: Electronic Symphony, the series grew in ways that make prior entries look like mere spin-offs rather than true sequels. It reinvented itself for a new medium and showcases Sony's handheld just as wonderfully as its predecessor managed in 2005. From beautiful visuals to stellar integration with the PlayStation Network, Lumines: Electronic Symphony is everything we wanted from a Lumines sequel and more. Going back to the days of the original PlayStation, Wipeout has been the game that gets made when Sony wants to show off. That ambition was never more apparent than in Wipeout 2048, a launch game clearly meant to highlight the new Vita at its best. That's by no means a slight against it, though. As a modified version of the excellent Wipeout HD, this is still the best futuristic racing game made in the 21st century, with scads of races, excellent music, and a delectable feel to its hover cars. Uncharted: Golden Abyss is everything it promised to be: a portable Uncharted. This isn't a shrunken mobile version hastily squeezed onto Vita. Development, while from Sony's Bend Studios, was overseen by Naughty Dog and that's still Nolan North and Richard McGonagle on voice over duties for Drake and Sully. The visuals are beautiful, action varied and it even manages to make touch controls not feel too awful. The only sore point of this is that it shows just how good games could look on Vita, and they have never quite matched this benchmark ever again. Lost Dimension is, in many ways, a standard tactical RPG, where you form a party that fights enemies turn-by-turn on a grid. Different companions boast different skills like elementally-tuned attacks, or hypermobility, and proximity to enemies impacts how much damage you deal and blah, blah blah. Here's the cool part, though: each level, one of your companions has betrayed you, and you have to figure out who it is so they can be eliminated. Taking different mixes of characters into fights lets you narrow down the suspects forcing you to be flexible with your playstyle. You also lose access to the traitor once they've been uncovered, which whittles your party options level by level. It's a very clever way to break the typical tactical RPG mold where you find the characters that serve you best and stick with them no matter what. Learning the truth about why you're all in a tower together in the first place will make you eager to complete the second time to get the true ending. You wouldn’t think Rogue Legacy's combination of Metroidvania with roguelike would work. How can progression be possible if you die all the time? Glad you asked. The key’s in the word ‘legacy’. When your brave castle adventurer eventually bites the dust in the procedurally generated world (*sob*), you play as the next heir in line. You’ll get everything the previous hero earned to spend in one go and you’ll get to pick who'll carry on the family business of adventuring in skeleton-packed dungeons. Here’s where the true fun lies. While your spawn are split into different classes, they’ve got plenty of interesting traits. Got no sensation in your feet? Perfect for running across spikes. Dwarfism? Great for getting into small areas. It’s not all sweetness and light though. Muscle weakness will mean you can’t knock back enemies and Tunnel Vision will mean projectiles aren’t shown until it’s almost too late. Ah, the joys of video game genetics. Derek Yu's roguelike action adventure isn't for the easily frustrated, but those who make peace with permadeath and have the patience to keep trying will find much to love (and curse) about this indie hit. Starring a character known only as the Spelunker, the game sends you underground on a treasure-hunting mission chock full of beasts, environmental puzzles, and the occasional damsel in distress. Failure to survive means starting from scratch, however Spelunky's randomly generated levels guarantee each attempt feels fresh. You will die, and you will die often, but the promise of new environments and game-changing items will have you dusting yourself off and believing that this time... yes, this time... is the one you'll make it to the end (spoiler: you won't). Relentlessly challenging but always addictive, Spelunky offers an elite adventure that never gets stale. Click 'Next Page' to see titles 15-6 in our countdown of the best PS Vita games.